In this I will share 2 best and fastest ways to get a flat stomach in a month. Getting rid of stomach fat is not a difficult task but set realist goals to lose belly fat. If you want to tone your abdominal or middle area for summer then make few healthy changes in your daily routine. Looking attractive and gorgeous is the desire of everyone but due to wrong eating habits and hectic lifestyle many people put on weight. If you’re trying to drop a few pounds, don’t start off by trying to overhaul all your eating and exercise habits. You’re better off finding several simple things you can do on a daily basis along with following the cardinal rules of eating more vegetables and less fat and getting more physical activity. 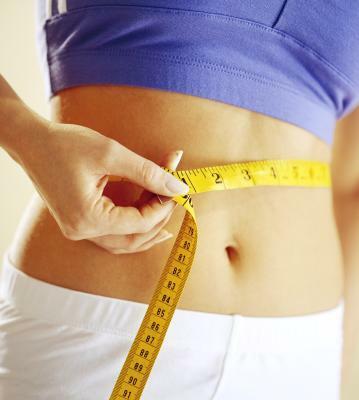 Just incorporate these simple and easy steps to get flat belly in a month. According to various researches diet and exercise are two important factors that must be watched carefully to get toned body. To make a difference and fit into your favorite dress eat healthier and cut down unhealthy foods. Eat more vegetables and fruits as these are rich in fiber and various fruits and vegetables helps reducing blotting and constipation. Increase water intake, if you do not like drinking water add some lemon/mint leaves/cucumbers. Include lean proteins, nuts and beans in your daily routine. Intake less sodium as these foods retain water in body which shows you blotted. Use low fat dairy products instead of high fat dairy products. Eat small meals during the day instead of heaving large portions. Make fat lose fast must keep food diary. Increase physical activity, for example use stairs instead of elevator, go for walk, walk for few minutes in every hours. Do cardio exercise it will not only improves circulation and core temperature but also helps in getting flat tummy. Take up swimming, cycling, walking, running to improve metabolic rate. Do abdominal exercise at least three times a week. Do crunches, side bends and leg raises 20-25 repetitions each daily.